Trace Delaney doesn't make promises he can't keep. As soon as he recovers from his injury, he'll get back to bull riding, pick up and move on as he always does. But can Annie Owen and her twin daughters change his mind? Laurel Quinn never forgot her first love, Kase Rawlins. When Kase returns home to Colorado, they get a second chance… not only with each other, but to complete a family for Kase's four-year-old daughter, Addy. Texas Ranger Luckey Davis is following a lead on a new assignment and needs the help of Dr. Allyson Duncan. Ally not only gives him answers he wasn't expecting, but he finds himself falling for the graceful professor. 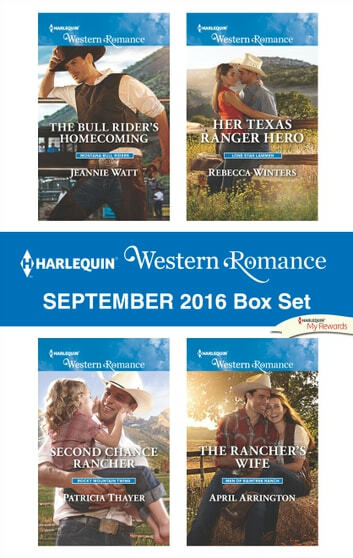 Logan Slade is determined to bring his estranged wife, Amy, back to Raintree Ranch. But can he give her the one thing she truly wants—his heart—before she walks away for good?